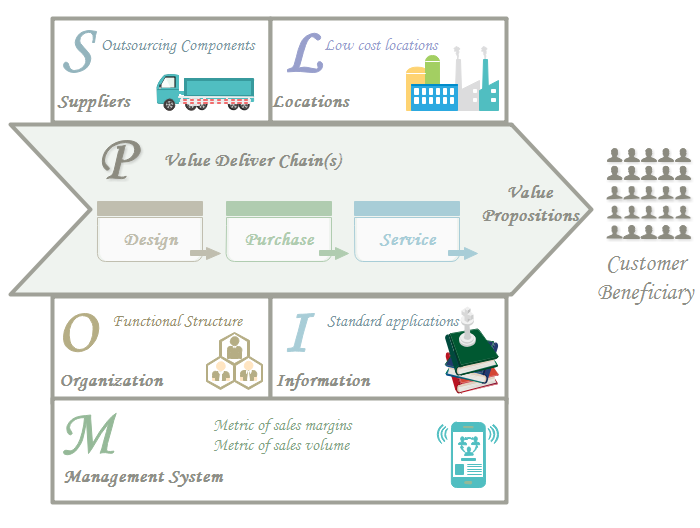 Here presents some operating model templates for organizations to draw a professional model of delivering values to customers and beneficiaries. With pre-made templates, users can structure the product canvas in advance. Operating model is a part of business operational strategy which describes how an organization runs. For an organization, it is of vital importance to deliver their value propositions to customers and beneficiaries with effective execution. Under this operating model, customers and beneficiaries will have a deep impression on refining the values of organizations. 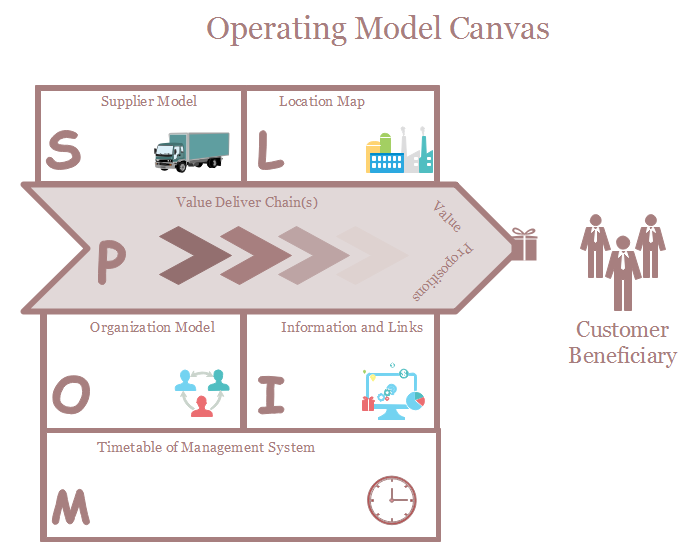 For learners who are not familiar with operating model, Edraw offers a guide to create operating model and some templates so as to help users have an underlying understanding on the important elements under operating model canvas. You can download and edit to add your own perspectives. 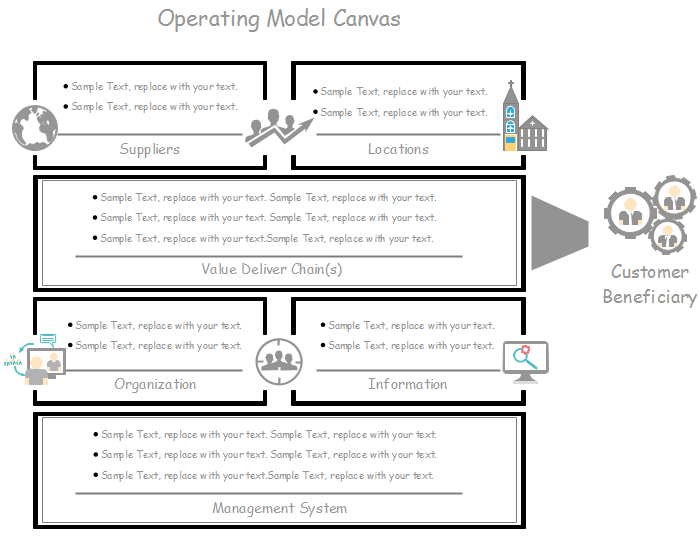 This template is the basic operating model which is intuitive for users to enlarge the detailed tips under operating model canvas. All the content including, the text, color and size can be edited freely with Edraw. Click the image to download and expand more practical contents. 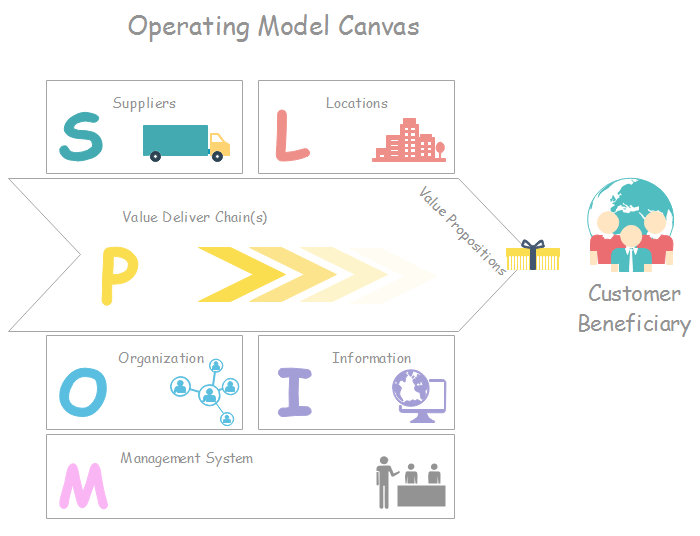 This classic template provides the vivid structure of operating model canvas for an organization to spread their value strategy to customers. With detailed descriptions to be filled in, the template is convenient for further expansion and development. This laconic operating model canvas template is more proper for businessman with its visual but simple style. It is customizable which can be applied to business presentasions by covering contents. If you have no time to consider which style to be chosen, you can take the original files by clicking the image. Download the following design to start your work faster!